Ever wished to be on a huge sailing vessel at night while the small drops of water are pouring from the sky? Different people have different fantasies related to cruises and our Cruise Services are tailored to turn all such fantasies into reality. 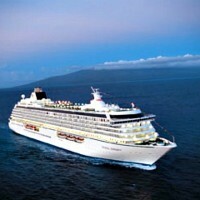 We are based in Lucknow and liaison with many cruise liners to provide you a desired cruise booking at any time of the year. You can live your fantasy on the cruise and enjoy all activities like trapping the fishes in the crayfish nets, attending electric cruise parties, and dining at the best eateries. You can also stay at the room you like the most. Our services are affordable and we can get you hefty discounts on both ocean/ river cruises.